Following the Aztec’s founding and construction of Tenochtitlan in the Valley of Mexico in 1325 AD, they quickly established their authority across the other societies in the valley. Historians refer to this time period as the Aztec Empire, since the Aztec were constantly expanding throughout central Mexico. As well, for the two centuries that followed the initial construction of Tenochtitlan, the Aztec were ruled over by a series of leaders referred to as Huey Tlatoani. In the Aztec language of Nahuatl this translates to 'Great Speaker'. 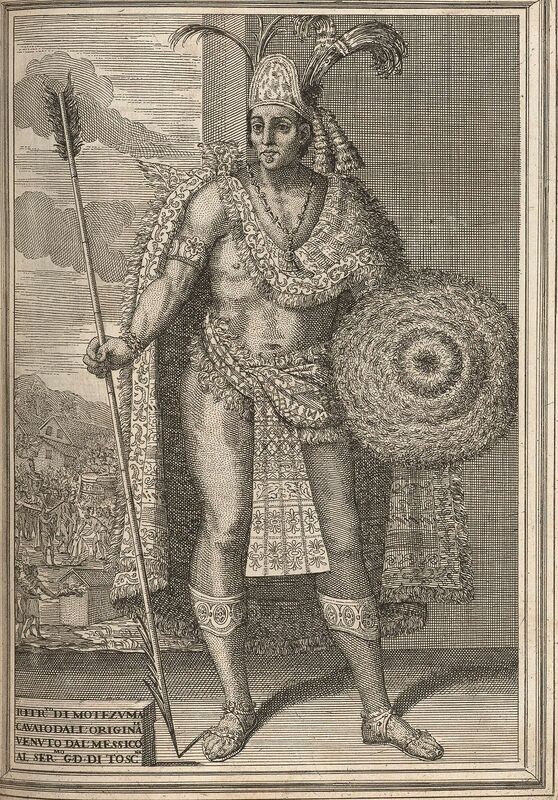 Moctezuma II was the leader of the Aztec with the arrival of the Spanish into the Aztec territory. Historians have reported that Moctezuma II was first made aware of the Spanish’s arrival in 1517 when Spanish conquistadors landed at the edge of Aztec territory along the coast of the Gulf of Mexico. 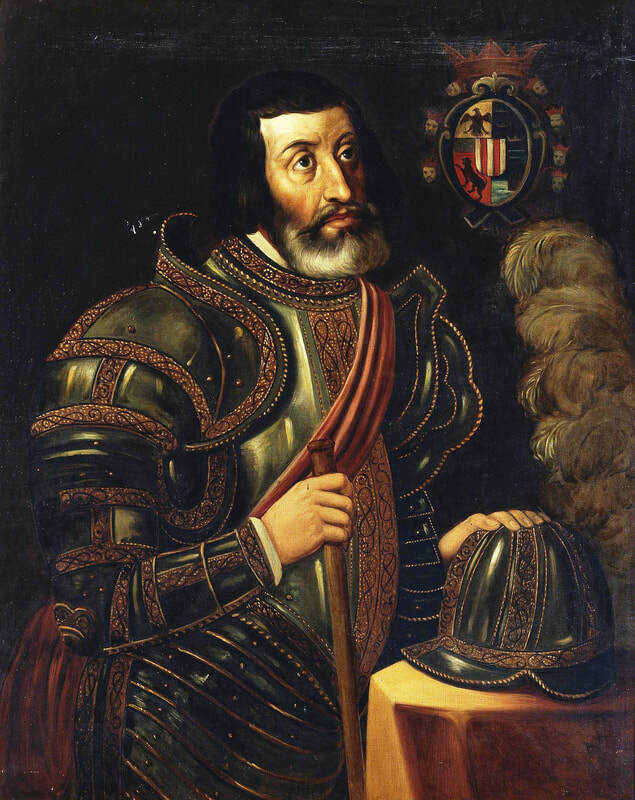 In fact, this was the expedition of Juan de Grijalva who was a Spanish conquistador and one of the first European explorers to arrive in Mexico. Unsure of who these people were or what they wanted, Moctezuma II ordered his people to keep him informed of their movements and actions. In the years before the arrival of the Spanish into the territory of the Aztec Empire, the Spanish had been exploring the waters of the Gulf of Mexico and the Caribbean during the European ‘Age of Exploration’. Spain’s monarchs, Isabella and Ferdinand, were expanding Spain’s influence and prestige by funding expeditions by Spanish explorers. Many of these explorers were driven by a desire to capture as much gold and other precious metals as possible. For example, Spain had already played an important role in the early part of the Age of Exploration with the voyages of Christopher Columbus. Hernan Cortés was the Spanish conquistador that led the expedition to explore and conquer the Aztec Empire. At the age of 19, he travelled to the Spanish controlled colonies in the Caribbean. More specifically, he arrived at the island of Hispaniola which is the modern-day Dominican Republic and Haiti. After several years in the colonies, Cortés convinced Diego Velasquez, another conquistador and then governor of Cuba, to let him lead an expedition to Mexico. Cortés set sail soon after with approximately 11 ships and just over 500 men. Moctezuma II was informed of their arrival, which was in the area of the Yucatan Peninsula, to the east of the main territory of the Aztec Empire. 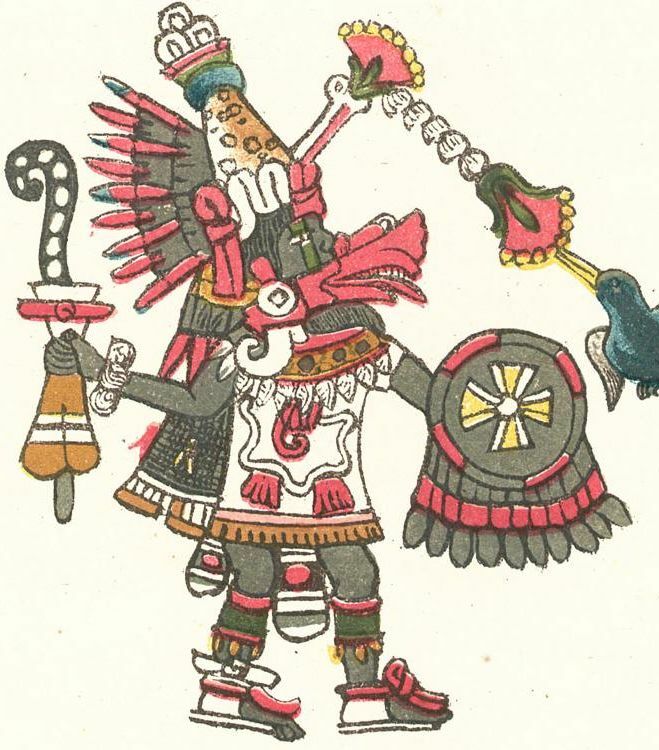 Quetzalcoatl from the Codex Magliabechiano. Quickly, Hernan Cortés and his men encountered other Mesoamerican peoples living in the area. For example, they came into contact with the Tlaxcala, which was a powerful city-state to the east of Tenochtitlan. Tlaxcala were traditional enemies of the Aztec as the two had fought each in different battles including the Flower Wars. As such, the Tlaxcala used the opportunity to their advantage and allied themselves with the Spanish against Tenochtitlan. This is important, because Cortés used the Tlaxcala and other enemies of the Aztec in his later conquest of Tenochtitlan. In response, Moctezuma II had gifts sent to Cortés in an attempt to show his prestige and the power of the Aztec over their rivals. Moctezuma II was also unsure of how to respond to Cortés and the other Spanish conquistadors because their arrival into the Aztec territory coincided with an important Aztec prophecy in relation to the Mesoamerican god Quetzalcoatl. The prophecy spoke of Quetzalcoatl’s arrival at the same time as the Spanish, and Quetzalcoatl was said to have white skin. Unsure of whether or not Cortés was the god, Moctezuma II responded by greeting him with honor and giving him many gifts. Regardless, the Aztecs were amazed by the Spanish. First, the Aztec had never seen a person with white skin before. Secondly, the armor and weapons that the Spanish used would have been mostly unimaginable to the Aztecs. For example, the Aztec would not have known what firearms were, or understood how they worked. When the Spanish conquistadors first fired their weapons, the blast and smoke shocked and amazed the Aztec people. As well, the metal armor of the Spanish fascinated the Aztec because they did not have any similar form of protection. Third, the Aztec people had never seen a horse before. Horses are not native animals to the Americas, and the Aztec people would not have known what the animal was. The animal itself likely shocked the Aztec people, but the fact that the Spanish Conquistadors rode on them would have astounded them even more. The Aztecs had no similar animals and certainly none that they would ride. These three factors combined, along with others, to show the technological divide that existed between the Spanish and the Aztecs. As such, the Aztec and their leader Moctezuma II were shocked and unprepared for the arrival of the Spanish conquistadors. 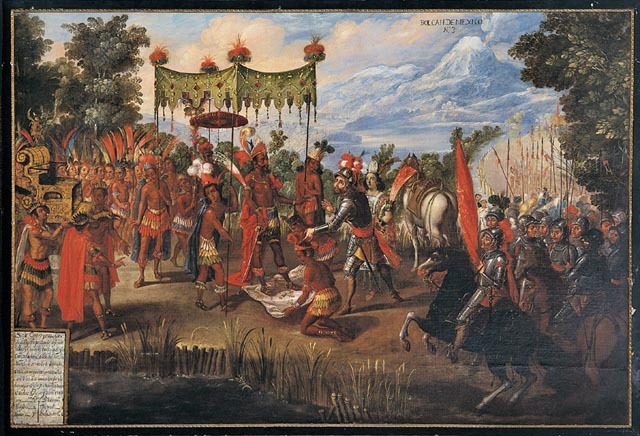 The meeting of Cortes and Moctezuma II. Cortés and the Spanish arrived at the city of Tenochtitlan in November of 1519. While they were accompanied by their new allies, the Tlaxcala, only Cortés and the Spanish were invited into the city. Still believing that Cortés might be Quetzalcoatl, Moctezuma II gave the Spanish many gifts and allowed them to stay as guests in the Aztec capital. During the next week or so the Spanish toured the city and saw the many Aztec temples, markets and palaces. However, soon after, Cortés learned of the death of several of his men from an Aztec attack on the Gulf Coast. The Aztec had attacked one of their rivals, and since the Spanish had allied with many of the Aztecs enemies, they were caught up in the battle. At this point Cortés became fearful that Moctezuma II may order his death and in response he took the Aztec leader captive in the palace that Moctezuma II had prepared for the Spanish in Tenochtitlan. The conquest of the Aztec Empire by the Spanish conquistadors had begun.